Experiment: Buffalo Gals, Won’t You Come Out Tonight? Ever since we discovered the local farmers’ market and noticed the lady who sells the water buffalo meat, we’ve been meaning to give it a try. After all, when was the last time you ate meat from an ungulate besides a cow, sheep, or pig? So this weekend, in addition to picking up a few this-and-thats at the market, we investigated the water buffalo option further. After all, what could go wrong? Besides foodborne illness, allergic reactions, or assault by the meat’s vengeful, one-ton relatives, that is? This weekend was a good one for spending time outside–plenty of sun, not too hot, not too busy. This combination of factors triggered the “grilling” instinct within me, and I was itching to bust out the chimney starter. The Picky Epicurean also had a serious jonesing for pizza (one of her four food groups). There was only one solution: grilled pizza. I suppose another option would have been to conquer a sunny Italian archipalego, but our trireme is in the shop. Click here to read about our adventures in pizza-grilling. This weekend the Picky Epicurean and I had fun with grilled pizza, which we documented thoroughly and about which I will produce a writeup shortly. 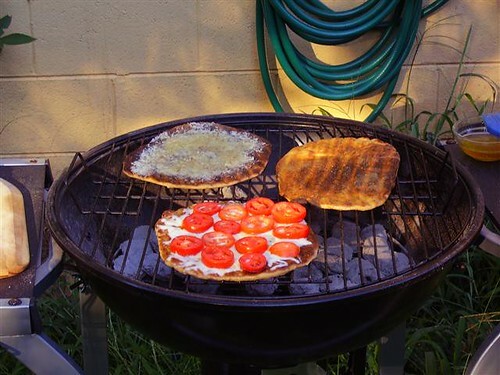 In the meantime, here are the basics to getting your charcoal grill up and running, should you need to get paleolithic on some meat or… uh… pizza crust. 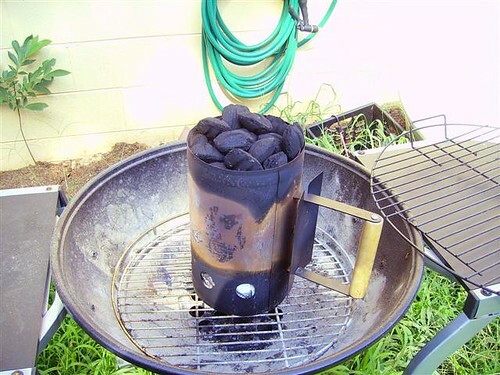 I won’t go into any philosophical exposition on the whole charcoal vs. gas debate. Each certainly has its advantages, but for general purpose outdoor cooking, I’m a big fan of the carbonaceous action, though I won’t begrudge anyone their petrochemicals. 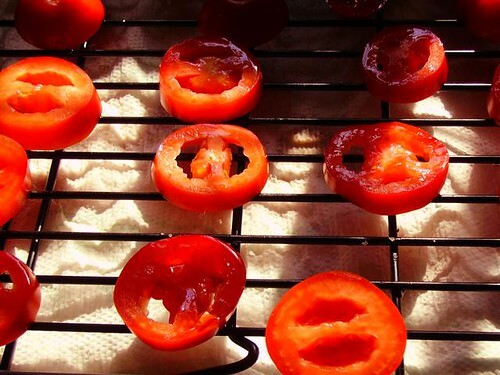 Without further ado: How to light your charcoal grill. Of interest to the Harry Potter fans in the audience…. While the Picky Epicurean is eagerly awaiting the release of Harry Potter 7, I can’t say as I have any special interest in the impending release. This isn’t going to stop me from enjoying a midnight release party with the Epicurean. That being said, here’s a treat for all you Harry Potter fans out there. Livejournal baking maven and craft genius djinnj shares her latest brilliant creation: Harry Potter gelt–that is, milk chocolate galleons. The Barbecue Joint is hard to find. The Picky Epicurean and I once went to look for it, paying so much attention to the side of the road that we posed a traffic hazard–and still couldn’t find the place. We actually made it there tonight, and it’s pretty clear why we had such trouble the first time around: The Barbecue Joint is in a small, unassuming strip mall, set behind a bank of trees and sharing property with a bagel shop, a kitchen remodeling company, and a tae kwon do studio. Please point your memex to our shiny new site, www.greek-o-rican.com to learn about adventures in multi-ethnicity! We will post! We will share! We will link egregiously to Wikipedia! We may even occasionaly talk about cooking! The content of this site will likely be a bizarre mishmash of recipes, cooking tips, restaurant reviews, philosophical rants, snide commentary on Mario Batali and Giada DeLaurentiis, and accounts of my own misadventures in the kitchen. Ethnic cuisine will probably even be covered from time to time. I hope you find it (usually) entertaining and (occasionally) informative.